Angus Value Discovery Contest winners named. It takes a powerful start and decades of focus to get harvest groups that regularly qualify 100% for the Certified Angus Beef ® (CAB®) brand. What about 97.7% at CAB Prime brand and that one steer “only” hitting the traditional premium Choice CAB mark? Not too good to be true, that’s just the mark of a Champion. To be precise, it’s the Champion pen of 40 enrolled in the 2018 Angus Value Discovery Contest (AVDC), produced by Jack and Bill Boyer, Boyer Brothers Angus, Perryville, Mo. “We select for carcass merit because that’s where the value is,” Aaron says. Their reserve champion pen achieved 97.6% CAB (all but one), including 61.9% CAB brand Prime. What made their pen a close second was the fact that only one of the 42 head earned a YG 4 discount, with no YG 5s. Carcass data is a key indicator of performance for their herd. They regularly see loads grade 30% Prime or better as they target improved growth and efficiency. They watch the numbers closely and work to see ever fewer YG 4s with continued increases in Prime on their closeouts. “If you have cattle that can perform, we believe it’s in our best interest to retain them and capture the value,” Darin says. For those interested in retained ownership, the brothers say stay the course and cull deep. It’s an end goal their family has been targeting for decades and are justifiably proud of the progress so far. Their seedstock supplier is Keith Taliaferro’s T Bar T Angus Ranch at nearby Effingham, Kan. 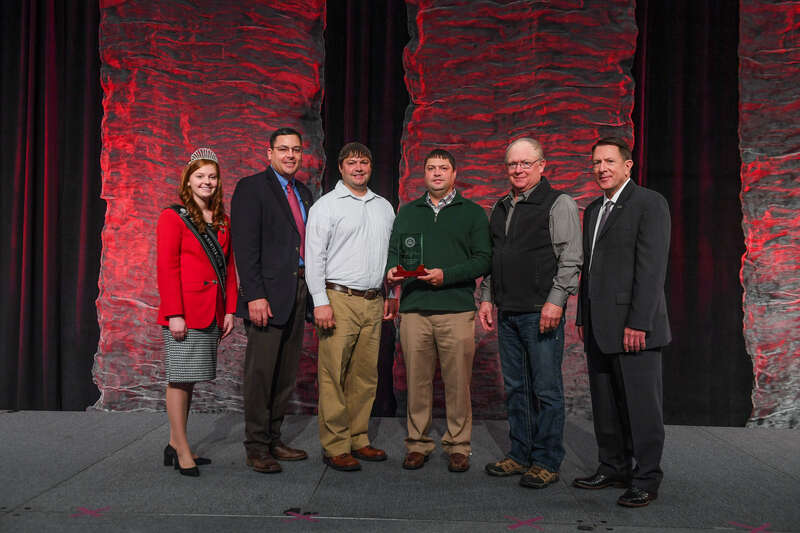 Contest winners earned trips to the National Angus Convention, in Columbus, Ohio, Nov. 4-7, 2018, where they received the awards. The Boyer’s Grand Champion pen merited $2,000 in credit toward their next bull purchase with Gardiner Angus Ranch, while the Georgs earned a $1000 credit to spend with T Bar T Angus Ranch. Our Colvin Scholarship program is currently closed, but we will accept applications again late fall, so be sure to follow us in social media or check back here for updates if you’re still eligible at that time.